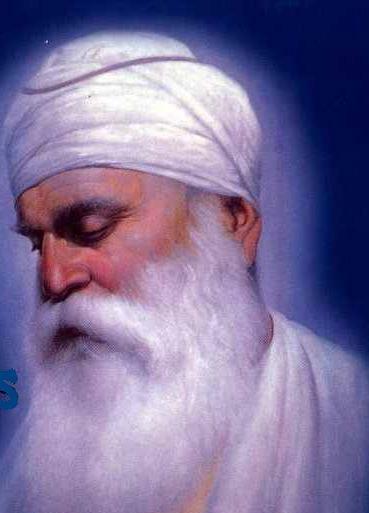 Sri Guru Nanak is the first Guru in Sikh faith. According to sources, Sri Guru Nanak was born on 15th April 1469 in a small village called Tolevandi which is at present time 30 miles from Lahore, Pakistan. He was born into a Kshatriya family. Guru Nanak was born in a simple family. His father was an accountant. From his childhood he had great qualities. He had a mystic disposition with great learning skills. He soon mastered Vedas and Sanskrit. He also studied Persian and Arabic as he got association with the Muslims when his father worked for a Muslim landlord. Thus he became learned in Hinduism and Islam. There are so many miraculous incidents about Guru Nanak’s childhood days and youth. During his life he advocated Oneness and Supremacy of God. He formed the new religion based on the principles of Hinduism and Islam. Guru Nanak’s significant work is his book Guru Granth Sahib which is revered as scripture by all his followers. The vast collection of his revelatory verses are found in the book.